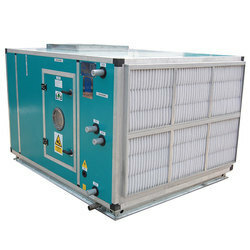 - Hepa-Filter Section, Fine Filter Sections, Eliminator Section, Coil section with CW. 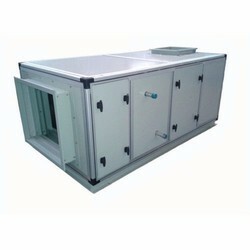 Airtech is leading manufacturer of Air Handling Systems. With vast skill and acquaintance, we are betrothed in providing a wide range of Air Handling System. Moreover, we offer these products at nominal costs. Centralized air handling system for textile and nonwoven applications. We have marked a distinct position in the market by providing Air Handling Units. These handling units are manufactured by our professionals by utilizing high grade base material, in compliance with international standards. The offered handling units are rigorously tested on various parameters and available in different models. Our company manufactures Ventilation Unit which are used to control the circulation of air. These are compact and sturdily built and can be designed as per our client requirements. The ventilation units manufactured by us are easy to maintain and operate.